Abby offers more: Not just a magic show, but a variety show with a fancy theater backdrop in your home. 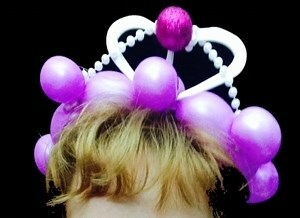 Plus amazing balloon couture and balloon animals. Plus party games or face painting. Exotic animals: What's nicer than a live dove or rabbit? Kooky wisecracking exotic animals. 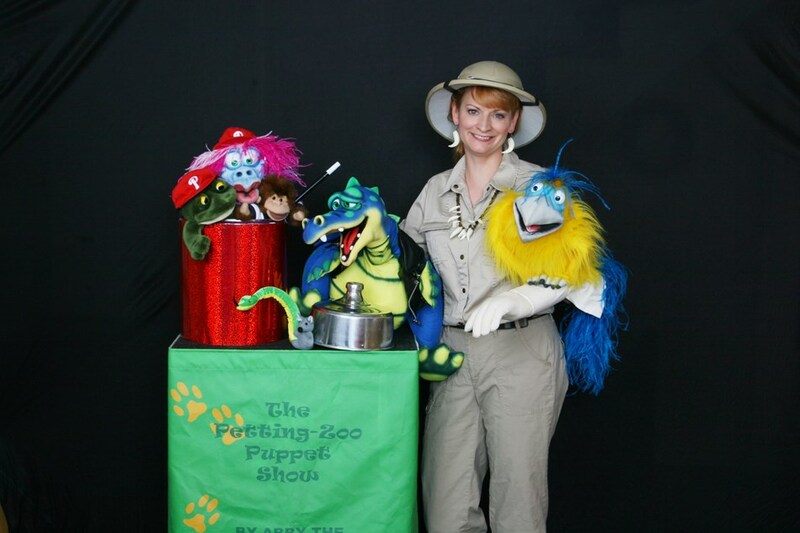 Abby's exotic puppets include a monkey, pterodactyl, zombie, meerkat, dragon, fortune teller, snake, frog, yeti, monsters & others. Have any animal you want, even mythical ones. Abby's family-friendly ventriloquism delignts children and parents alike. Swank: Abby sets up a swanky theater in your home or venue. A luxe velvet backdrop sparks "wows" from guests. A speaker keeps the music and patter audible even during loud laughter. Themes: Over many years Abby has accumulated knowledge to adapt magical techniques to any theme. Pay for a brand new theme or save by choosing an existing show: dinosaur, comedy magic, pirate, princess, wizard, carnival, silly monster, petting zoo, pets, 4th of July, Halloween, Christmas. Experience: Abby has worked professionally at the full range of venues: black-tie dinners, schools, libraries, country clubs, the Philadelphia Zoo, the Philadelphia Art Museum, Penn's Peak, corporate picnics, malls, wedding receptions, church picnics, first communion parties, department stores, anniversary parties, restaurants, movie theaters, reunions, parades, graduation parties, and a circus. How far in advance should I book Abby? Weeks or months. Your chances rise if you call Abby before choosing a date. Will Abby perform at first birthday parties? Only if the audience includes children aged 3 and up. At what types of venues will Abby perform? Indoor settings only. Will Abby turn away other customers while I decide? No, but if someone else books your time slot while you're still deciding, don't worry -- When you are ready to book her, Abby will work with you to find a different time slot. Does Abby perform at adult venues? She does wholesome, family shows only. Even in her Halloween magic show, Abby will not use gory, frightening or disgusting tricks. 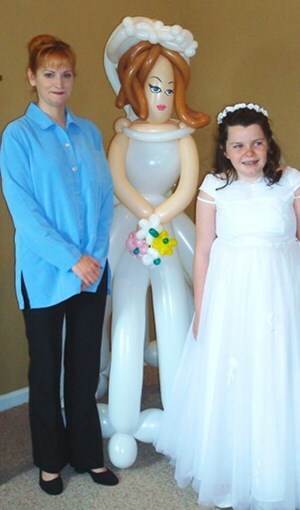 Please note Abby London Magic and the Best Balloons Ever will also travel to North Wales, Spring House, West Point, Colmar, Gwynedd, Hatfield, Kulpsville, Montgomeryville, Gwynedd Valley, Worcester, Cedars, Line Lexington, Mainland, Souderton, Ambler, Blue Bell, Chalfont, Harleysville, Skippack, Creamery, Franconia, Hilltown, Collegeville, Dresher, Earlington, Lederach, Norristown, Silverdale, Telford, Eagleville.